I.S. Tech Brandon Cheyney- Senior Airman United States Air Force. 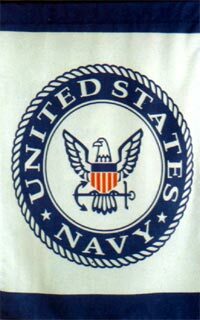 Active duty 1992-1995. 436th Airlift Wing. Reserve 1995-1997. Det Becky Doney- Staff Sergeant United States Air Force. Active duty 1996-2003. Landstuhl Regional Medical Center, Germany, and Elmendorf AFB, Alaska. Administrative Assistant Karen Torres- Sergeant United States Air Force. Active duty 1985-1989. Security Police. RAF Lakenheath air base. Cpl Paul Nicolosi- Staff Sergeant Idaho Air National Guard. Active duty 1987-1993. 124th Tactical Recon Group/124th Tactical Fighter Group. Aircrew Egress Systems Mechanic. Gowen Field, Boise Idaho. Ptl Brad Ford- Senior Airman United States Air Force. Active duty 2000-2004. Brad was with the 366th Security Forces Squadron. He served 60 days in Oman and Bahrain with Operation Southern Watch. Brad also spent 105 days in Kuwait for Operation Enduring Freedom. While in Kuwait Brad received the Airman’s Medal of Excellence. Det Brice King- Senior Airman United States Air Force. Active duty 1989-1999. Stationed in Bahrain for 8 months as part of Operation Southern Watch. Also part of operations Desert Shield and Desert Storm. Records Supervisor Eda Beams- Staff Sergeant United States Army. Active duty 1985-1988. 6/52nd Air Defense Artillery. Reserve 1988-1998 2364th Signal Battalion. Sgt Jamie Burns- Sergeant United States Army. Active duty 1994-1998. 82nd Airborne. Ptl James Case- Staff Sergeant United States Army. Active duty 1994-1998. 100th Infantry Division. Reserve 1998-2006. Ptl Leonard Claunts- United States Army. Active duty 1981-1984. 313th Military Intelligence and 82nd Airborne. Fleet Tech James Dehaven- Staff Sergeant United States Army. Active duty 1962-1985 Oregon National Guard. 1042nd Military Intelligence Company. CSO Yvette Fickel- Specialist United States Army. Active duty 1993-1998. 556th Personnel Service Battalion & 22nd Military Police Battalion. Ptl Eric Kimery- Sergeant United States Army. Active duty 2001-2007. 229th Military Intelligence Battalion. Sgt Jason Kimball- Staff Sergeant United States Army Idaho National Guard. Active duty 1996-2008. Jason was attached to the 2/116 Idaho Army National Guard. He was deployed to Iraq from June 8th 2004-August 2005. Ptl Bryce Martin- Specialist United States Army. Active duty 1998-2001. Infantry 11th ACR. Specialist Idaho National Guard. 2003-2005. Cavalry Scout. 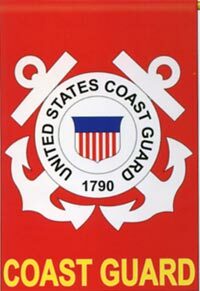 Ptl Aaron Coleman- United States Coast Guard. Active duty 1994-1999. Petty Officer 3rd Class. USCGC Polar Sea, and USCGC Munro. Idaho Air National Guard 1994-1995. Cpl Matt Crockett- Staff Sergeant United States Marine Corps. Active duty 1995-2006. Matt was attached to Company C 4th Tank Battalion 4th Marines Division. Iraq March 2005- October 2005. Matt Received the Navy Achievement Medal while serving in Iraq. As tank commander his crew recorded the highest score of all reserve and active duty crews during training. Police Assistant Nancy Littlefield- Red Cross 1969-1971. Office Staff at the United States Marine Corps base Okinawa, Japan. Cpl Chad Shepard- United States Marine Corps. Active duty 1994-1998. Security Force Pearl Harbor, Hawaii. Charlie Company. Reserve 2004-2005. Ptl Jarad Webb- Corporal United States Marine Corps. Active duty 1997-2001. 8th ESB & 2nd FSSG Camp Lejeune North Carolina. Officer Garret Tillitt- Petty Officer 3rd Class United States Navy. Active duty 1989-1992. USS Barbour County & USS Waddell. Served in Operation Desert Shield and Desert Storm. Cpl Shane Huston- United States Navy. Active duty 1989-1993. USMC medic. Idaho National Guard 1993-1996. Served in Operation Desert Storm, 2 August 1990 – 28 February 1991.